Jennifer L. Grosso concentrates her practice in the areas of estate and trust disputes, medical negligence defense, and general business disputes. 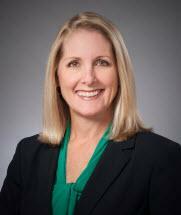 She has extensive experience in state circuit and county court litigation, as well as in mediations and arbitrations. Ms. Grosso serves as litigation counsel for the Sarasota Memorial Health Care System, one of Florida’s largest public health systems, which includes Sarasota Memorial Hospital, First Physicians Group of Sarasota, the Cape Surgery Center, HealthFit, and other healthcare components. In this role, she represents Sarasota Memorial in complex commercial, tort, and contract disputes, while working with Sarasota Memorial’s risk management team to proactively identify and assess potential patient issues. In addition to her work with Sarasota Memorial, Ms. Grosso handles estate and trust litigation, including will contests, trust contests, inheritance disputes, and disputes related to the administration of probate, wills, and trusts. Ms. Grosso is a member of the Executive Council of the Real Property, Probate, and Trust Law Section of the Florida Bar (RPPTL), and previously completed a two-year term as a Fellow in the Probate and Trust Law Division of RPPTL. Additionally, Ms. Grosso was recently nominated and selected to participate in Class III of the Florida Fellows Institute of the American College of Trust and Estate Counsel. Prior to moving to Sarasota in 2007, Ms. Grosso served as statewide litigation counsel for Coldwell Banker Residential Real Estate, Inc., where she managed a statewide litigation practice, advised over 180 managing brokers and regional presidents regarding statutory and regulatory compliance matters, and represented brokers and sales associates in administrative hearings. Ms. Grosso is a past president of the Young Lawyers Division of the Sarasota County Bar Association (SCBA), and currently serves as a Director on the SCBA Board of Directors. She is past Chair of the Civil Trial Section of the SCBA. She also served as the Twelfth Judicial Circuit representative on the Florida Bar Young Lawyers Division Board of Governors, representing Sarasota, Manatee and Desoto Counties on the statewide board. Ms. Grosso has been recognized as a Legal Elite Up and Comer by Florida Trend magazine, and she has been named a Florida Rising Star by Super Lawyers magazine for every year from 2010 to 2017, an honor received by no more than 2.5% of attorneys in Florida. Ms. Grosso was awarded Martindale-Hubbell's Preeminent AV rating in 2011. “When is a Joint Proposal for Settlement a Valid Proposal for Settlement: Apportionment, Avoiding Ambiguity in Release Language, and the Barnes Dilemma”, V. Julia Luyster & Jennifer Lodge [Grosso], 24 Trial Advocate Quarterly 12 (2005). “If You Aren’t Properly e-serving Your §57.105 Motion, It May Not Be Enforceable”, ActionLine, Vol. XXXVIII, No. 1 (2016). “Maybe She’s Just Quirky: Determining Testamentary Capacity", The Docket, Vol. 33, No. 2 (2016). “I’ve Heard of Buyer’s Remorse. What If I Have Donor’s Remorse? ", Requisite, Vol. IV (2015).